Now that I am back in DC, I can sit down and analyze the various facts, figures and notes I collected over the past few days in Astana. On a methodological note, voters are registered to vote by their propiska – or registration. Every citizen in Kazakhstan has a propiska that is associated with an oblast. 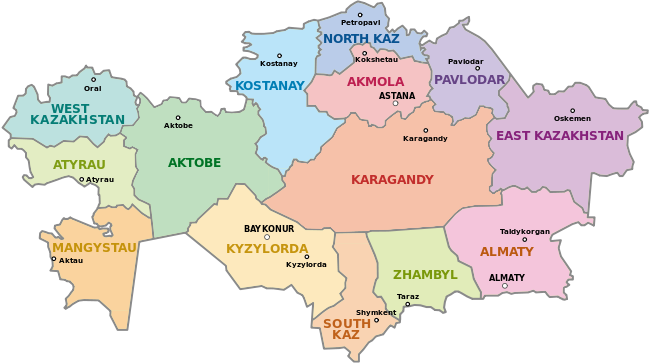 If I am living in Almaty city, and my propiska is in East Kazakhstan Oblast, in order to vote in Almaty, I must obtain the necessary documentation (like an out of state ballot) to cast the vote. In terms of the results of the data, this means that there are voters who are voting in areas outside of the regions where they are registered. Many people who work in Astana, for example, still have their Almaty propiska, simply because they haven not yet gotten around to the paperwork. Comrades, do not read into this, as this happens all the time in the US. For example, I am a resident of Virginia, but am registered to vote in NJ. I hope that was a helpful exercise, readers. I have much more commentary to come, but I have received some feedback that my posts tend to be very long, so I am trying to keep them short, to the point and more frequent. I look forward to your feedback!